Wanda McLemore teaches a transitional fourth grade class at Falkener Elementary. The first half of her class is whole-group instruction. Jess Clark reports on the state's efforts to improve student literacy between third and fourth grades. Learning to read is hard work. Take it from Jocelyn, a third grader at Falkener Elementary school, who first started sounding out words in pre-k.
“I was trying to read and it was difficult for me, and I kept practicing and practicing until I got it right," Jocelyn said. Now she reads "big books." “They’re interesting to me and mysterious," she said. With vocabulary like that, it’s safe to say Jocelyn will probably test high enough in reading to go on to fourth grade. But not all third-graders will. Read-to-Achieve requires schools to identify third graders who don’t read at grade-level and either hold them back, or send them into transitional fourth grade classrooms where they get specialized support. Rep. Craig Horn (R-Union) supports the initiative. 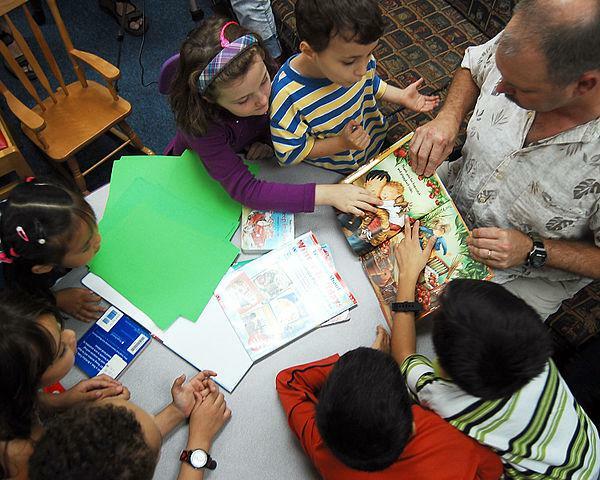 "I think we all understand the importance of young children reading. The whole dynamic of learning changes when one learns to read," he said. Horn is referring to the switch research says should happen between third and fourth grade: from learning to read, to reading to learn. Horn and other supporters of Read-to-Achieve say there’s too much pressure to push kids into fourth grade, even if they’re not ready. "Maybe that’s the pressure we’re putting on our kids unnecessarily," he said. "We need to focus on outcomes and achievement, rather than on just the process." The policy was born in Florida in the early 2000s. There, it came with millions of dollars to improve instruction and hire hundreds of new reading coaches. North Carolina’s version did not come with similar funding increases. But it did come with three-day summer camps for retained students and lots of testing. It also required specialized instruction time for retained third-graders and transitional fourth-graders. 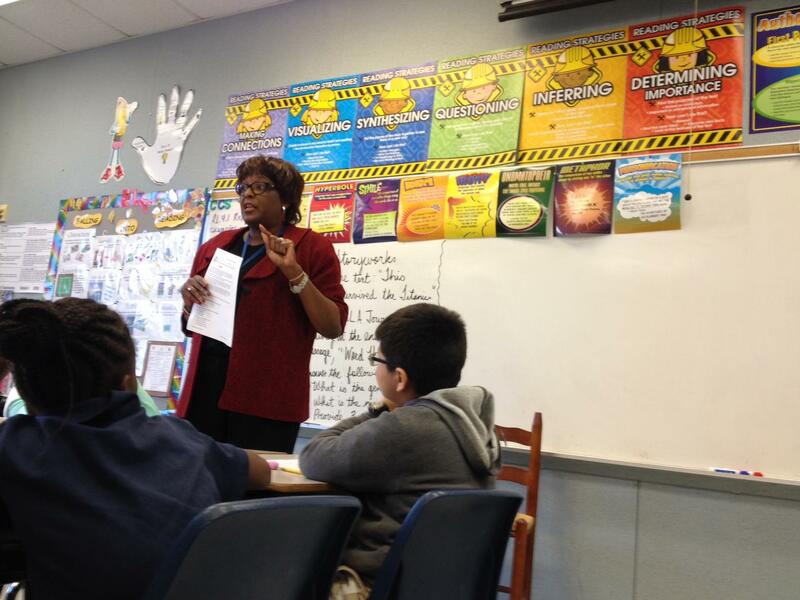 Wanda McLemore teaches a transitional fourth-grade English language arts class at Falkener. She’s divided her students based on skill level. Small groups of students gather around tables to read short passages together and answer questions about the text. McLemore keeps the struggling readers in a group with her for special instruction—just like the law requires. But she says, differentiating her instruction like this isn't anything she wasn't doing before Read to Achieve was on the books. And she says for the most part, the reading tests tell her what she already knows about her students. "I think it’s just a structure that the system put in place," McLemore said. “I mean if you are an educator really conscious of your role in the classroom… You were very aware of where that achievement was for each student, and you make steps necessary to bring that together as much as you can for that student." Most educators aren’t asking for more assessments. What Guilford County administrators say would make a difference is more teacher training and more books. Falkener's curriculum facilitator Wanda Austin says if she had it her way, there would be universal Pre-K and more teachers for smaller class sizes. "The more you can work one-on-one, or work in a smaller group of students, I think you can have more of an impact on them," Austin said. McLemore says a smaller class, or even a teacher assistant would be helpful. She already tutors her transitional students after school two days a week—but she doesn’t get paid for it. "The thing is you have to do what you have to do. You know? I can’t focus on what if I had this. You know, another person," she said. "I just have to do what I need to do each day." Representative Craig Horn says funding plays a part. The state gave districts additional funding this year to extend the summer reading camps for retained third-graders to first and second-graders. Senate Leader Phil Berger has alleged the Department of Public Instruction misused some of those funds to pay for administrative costs, but the department has denied those accusations. Horn says he thinks the state can boost reading scores without making large spending increases. Instead he says the state should leverage the help of education non-profits. How that’s done Horn admits is not an easy question to answer. You can bet legislators will have to crack open more than a few books to figure that one out. NPR's Claudio Sanchez brings us this bit of bad academic news: The class of 2012 scored the lowest average SAT reading score since 1972. A bit of good news is that math scores were up. "Writing, too, is down nine points since the SAT introduced a writing section in 2006. The average score in math was 514 out of 800, five points higher than it was 40 years ago. 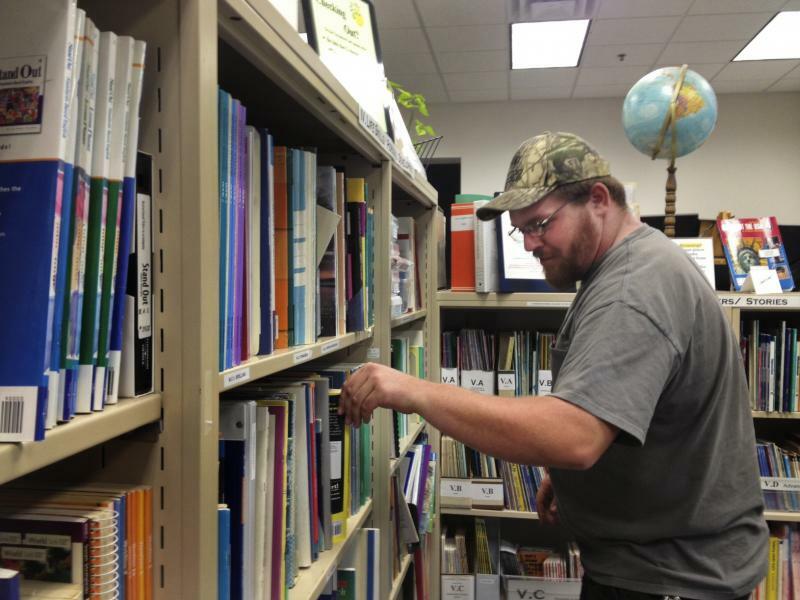 This is the final report in a four-part series on adult education.